Now that the 2014 Winter Olympics are over, I thought I would tell you all about some of the rules and restrictions we had here at the Games. People might think that we have freedom to shoot wherever we want, or that we can set up remote cameras in any position, but this is not the case. For the last 3 weeks, there were a lot of rules that we have to follow, and these are typical for almost all Olympics. In a previous blog post, I talked about "high impact events". These are the events that every photographer would like to go to. But there are just not enough photo positions for 1,000 shooters, so they require us to get media tickets. Each organization gets their allotment. In my case, I go to the USOC to get my ticket. Since I am the official photographer for USA Hockey, I am pretty much guaranteed a ticket into every ticketed hockey game. And this year, for the first time ever, I was able to obtain tickets to everything I wanted, including opening and closing ceremonies. 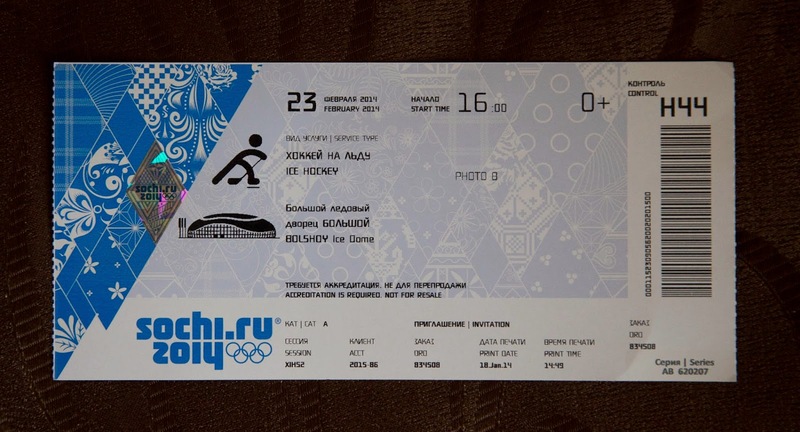 The photo above shows my ticket to the gold medal hockey game. You will notice that it says "Photo B" on the ticket. The "B" designates that my photo position was at ice level. Many people have written to me, or commented on the blog, asking about the green sleeve I am wearing when I am shooting. Along with my Olympic credentials, this green sleeve is the most important item in my camera bag. Without the sleeve, I am not allowed to shoot in the photo positions in any venue. They require us to wear these, so that the officials can look down from anywhere in the venue and see who belongs and who does not. No sleeve, no photos! In the Summer Olympics, we wear the vests which have numbers, but since at the Winter Olympics we are usually wearing big coats, a vest is not practical, hence the sleeve (which also has a number - I am 193). Every venue is different, when it comes to the shooting positions. Some venues, like the curling venue, let us roam around the border area pretty freely, while others are very strict about movement. At some venues, you are assigned a position number and you stay there for the entire event. For hockey, we have to be at the rink 2 hours prior to the puck drop in order to get the best positions. At other venues, it is first come, first serve. Depending on the popularity of the event, you may have to be at the venue 3 or 4 hours early. If you look closely at the sleeves people are wearing, you might have noticed that there are green sleeves, blue sleeves and grey sleeves. The blue and grey sleeves are issued to the pool photographers (like Getty, AP, AFP...) and they get reserved spots and remote camera locations that us "normal photographers" can not get. I would kill to have a remote camera in the hockey net or in the rafters directly over the goalie, but that would never happen, since the Associated Press pays big money for these luxuries. If you have been following the blog for the last couple of weeks, you have seen some photos from my remote camera. I would privileged enough to be one of the few remote cameras allowed behind the nets at the Shayba Arena. I really wanted one mounted up in the rafters in the Bolshoy arena, above the goalie, but there is a limitation of 50 cameras in the rafters, and those were all taken by the big agencies. When we do get remote camera permissions, we have to use special approved hardware to mount the camera, with redundant security cables to make sure they do not fall on anyone. We also get assigned a channel for our Pocketwizard remotes, so we are not firing other people's cameras. I have my own special frequency, so this is not an issue for me. Like so many of the limitations here, this is different for each venue. But the most common limitation that we have is determined by where the athletes enter or exit, and where the TV cameras are located. They try not to have us photographers in the TV shot if possible. 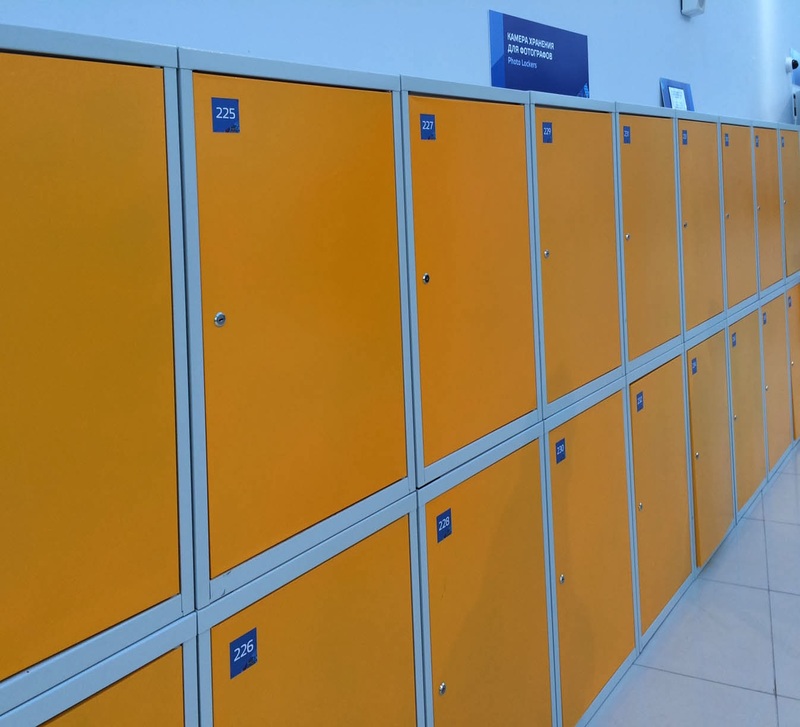 Just about every venue has large lockers for us to use. Most people get a locker for day use, although some photographers will get a long term locker at our "home venue". For me, I had a long term locker at the Main Press Center and a long term locker at both hockey venues. This is not true for all venues, but when I arrived at the Iceberg Skating Palace to shoot the ice dancing, I was told that I had to remove my USA jacket since it was too bright. Luckily I was wearing my solid blue Jeff Cable Photography sweat jacket underneath, and the logo is small. The media has to pay for Internet access at the Olympics, and we are not supposed to use any cellular dongles or other devices. They say that this restriction is due to wireless signal interference, but I believe they just want us to pay for their Internet. Here in Sochi, it was pretty reasonable ($140 USD) whereas in London, it was much more expensive ($400 USD). We are supposed to have wireless access in all venues, but it was spotty most of the time. There are numerous venues that restrict entrance and exit. For all the ice hockey games, we have to be out at the ice at least 20 minutes before game time. But to get our position numbers, we are at the rink hours in advance, so I use this time to edit images, backup and write these blogs. For hockey, we do have the ability to sneak out off the floor to go to the restroom during breaks, but some venues restrict that too. As an EP photographer, I can photograph almost anything inside a venue, including the athletes, the venue, the crowd... But for the first time that I remember, we were asked to sign a contract banning us from shooting any video with our DSLR cameras in any Olympic venues. The only reason I can think for this new restriction is that, the new DSLR cameras take such good video, that it would compete with the all powerful OBS. That is the Olympic Broadcasting Committee. They rules this place! At every Olympics that I have ever been to, the press has had our own transportation, which makes life really easy. Here is Sochi, they had shared buses for the press and volunteers. Most of the time, this was not a problem, but there were times when buses would fill and we would be delayed, waiting for the next bus. The volunteers were supposed to let press have first priority, but that didn't usually happen. But, with that said, the transportation in Sochi has been excellent. The security at this Olympics was a lot like London, where we have to scan our credentials and go through screening (like at the airport) to get into the park. Once we are through security, the Olympics calls this "the clean zone". There were certain locations throughout the park where, even though we were in the clean zone, we would have to pass through a scanning system a second time. And this was true for enter and exiting any venue. We would have to scan in and out. That was a first for the Olympics. 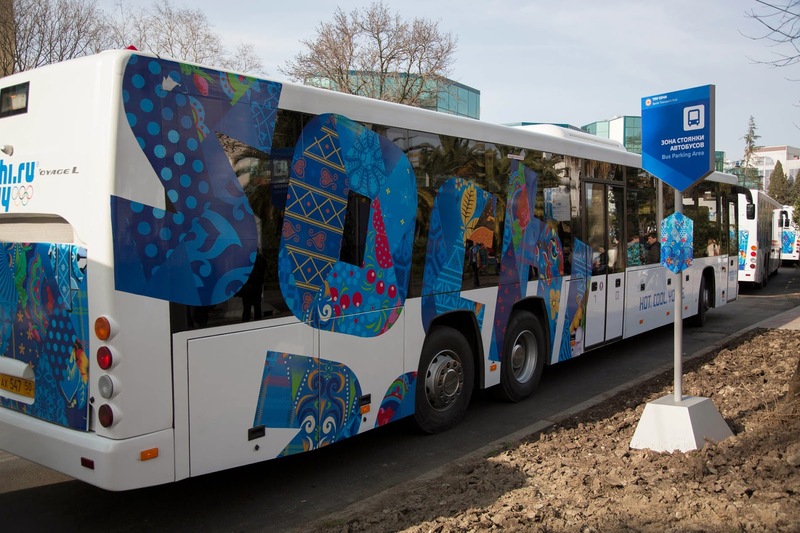 Also, as I mentioned in a previous blog post, this was the first Olympics where, at certain locations, they would scan everyone on a bus and then tape the doors shut, to show that the bus was not entered between security stops. That should give you a good idea on how it all works here. I still have photos to edit from the Bobsleigh event and the Closing Ceremony, and I will do my best to get those posted tomorrow. Today, I am about to go into the town of Sochi for the first time. Believe it or not, I spent the last 3 weeks on the Olympic property. There were two reasons for this. Firstly, with all the security threats, I promised my family that I would stay safe in the clean zone for the Games. And secondly, I had no time to venture out. I will take some photos of Sochi to share with all of you, mostly likely to be posted when I get home. I have a couple more days here, since I could not get a flight out today or tomorrow. Today is for sightseeing, and tomorrow is for packing up and preparing for the long journey home. This is funny. This is Russia. 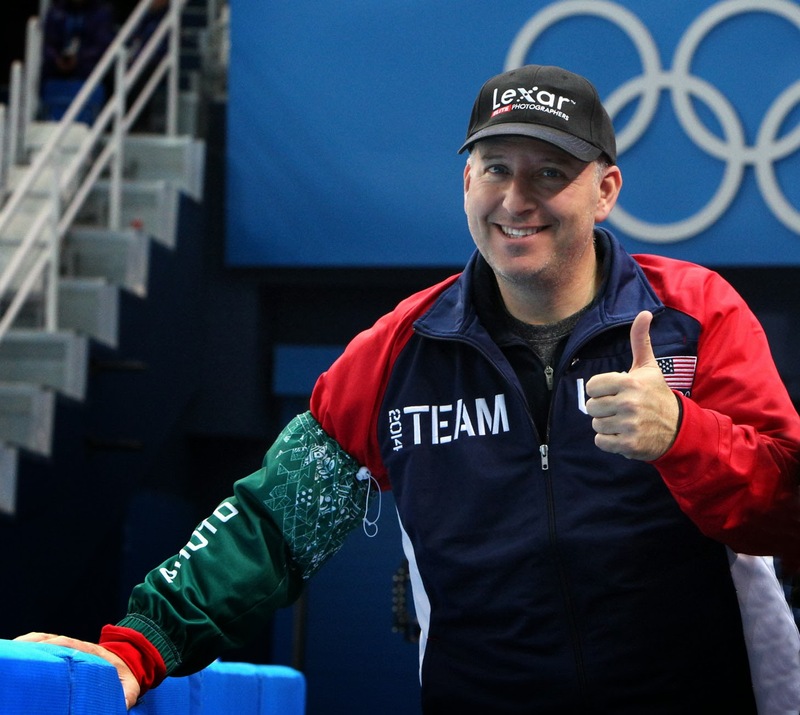 Thank you Jeff for taking the time to write about your activities there in Sochi. I am sure I speak for everyone in saying that we are looking forward to more of your photos and blog posts! Be safe! Hey Jeff will you be posting any photos of the Gold medal hockey game? It was a great one! Most interesting since the authorities have to deal with fluidity and security of the event. BTW, your pics were dynamite! Thanks for the insight. Fascinating. Obvious hard work on your part. What an amazing experience, Jeff. Thank you for sharing. Could you elaborate on your remote setup behind the goal? 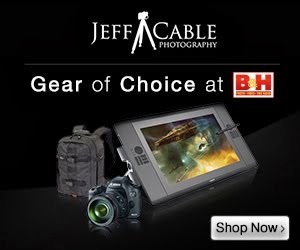 Jeff, thanks for all the excellent photos. It really helped my Olympic experience this year! Looking forward to some good Sochi pictures. Thanks for your very informative blog Jeff. This Lexar Hat is definitely also breaking one of the IOC rules on advertising! Thanks for the inside look, Jeff. Very interesting to read how things work at such a big event. Thanks for the inside look on how things work on such a big event. Appox. what percentage of expenses, such as food, transportation, internet, come out of your own pocket? Very interesting write up of your experience. Thanks!! 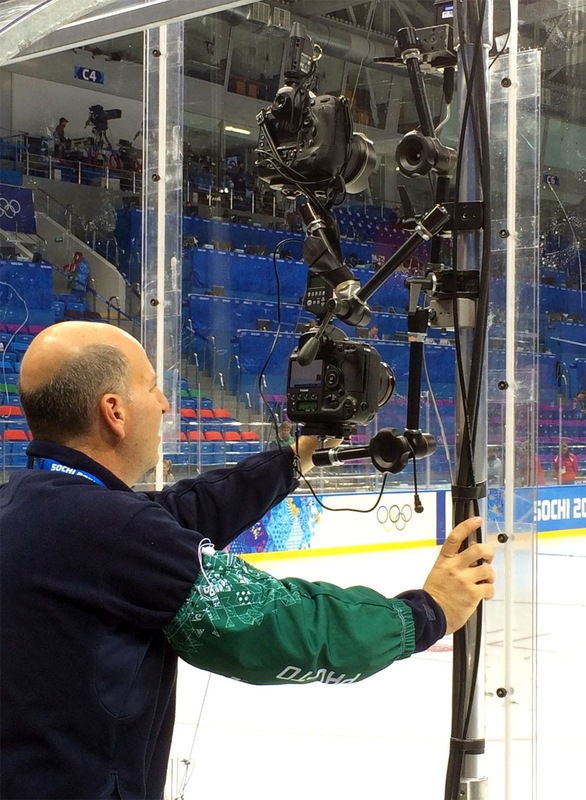 Thank you Jeff, you have done an excellent job, not only with your photography , but with keeping us all informed, and showing a side of Sochi that most of us would have no idea about. Safe travels back home. Thanks for the inside look, words and pictures. Safe trip home! Very informative. Thank you for sharing all of the info from your trip and how it all works. Look forward to seeing your photos you post when get back home. Have fun sight seeing and stay safe. Godspeed and my you have a safe trip back home. thank you for sharing your experience with us at home. Enjoy your little tour around Socchi! Safe travels home and again, thanks for sharing! Cheers! Enjoy your tour of Sochi and thanks again for sharing! Have a safe flight home! Cheers! Your blog has been amazing... So thankful I was following you before the games and will continue to follow. Thanks for the "Rules". Why am I not surprised? I was surprised at the size of the remote camera setup, although I should not have been after seeing the great shots you got from it. Enjoy the rest of your time in Sochi. Have a safe trip home, will look for more blogs on this side of the world. Thanks Jeff. I was an official United Nations Observer along with American Cultural Ambassador David Jakupca to several of their World Conferences and you trials and tribulations brings back many memory's. The reason the UN stopped having World Conferences is that they could not guarantee security for everyone. Thanks for this information. One item on my bucket list is to get to photograph Olympic hockey. It was cool to read your description of your experiences while there. Thanks. 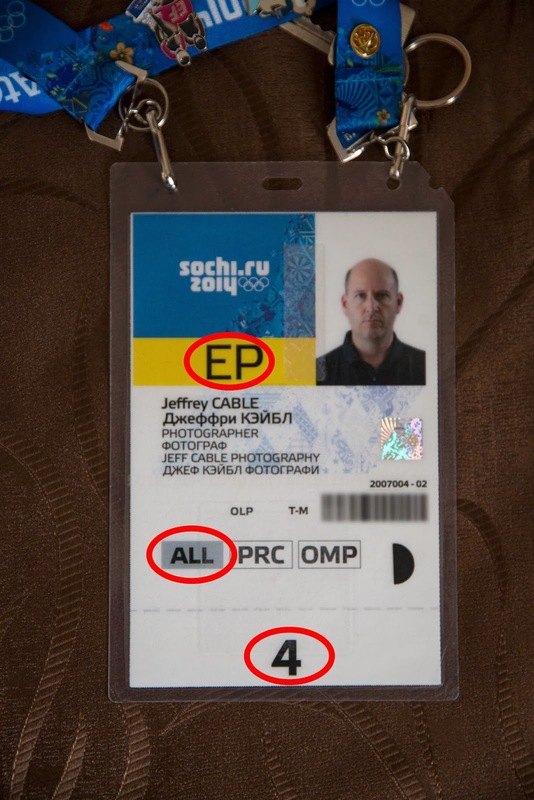 Thanks Jeff for all those details about how is the real life of a photografer in the Olimpic's games. It is really interesting. Have a graet time in Sochi and post some pictures to know about it. Nice Jeff-great info-I hope to catch you give a talk in Chicago one day-Soon! Good info-I'm inspired. Jeff Have a safe Trip Home ! I have so much enjoyed hearing about your adventures in Sochi and seeing your terrific photos. I've learned a lot by reading about the choices you make, challenges you've faced, and how you were planning in advance. Thank you so much for sharing this - it's almost like being there and looking over your shoulder. Thank you for sharing your talent as well as sharing the details and your thoughts. You are an awesome person. I'm going to be shooting the Commonwealth Games in Glasgow. This is my 1st event oft this size. Your post helps. Thanks for the tips and info.